In April 2017 Dayglo Fishermen released their latest live album, 'Midnight Souls Come (a)Live'. It's the third time a recording of one of their Limelight Theatre concerts has been released (and also the band's first DVD release). Now would be an excellent time to discuss those three releases. It had been nine years since the band's previous concert at The Rock Garden in London, a period where Dayglo Fishermen had been focusing totally on their studio recordings. It was a time of fierce creativity during which the band released three albums of new material, 'Comet Nerdlinger', 'Queen of the Sunset City' and 'I Can See a Boat ... It No Longer Floats'. With so much new material it was certainly time for a live performance, and when that performance finally happened in February 2008 at the Limelight Theatre, Aylesbury, UK, it was one that exceeded all expectations. For the first time the band felt compelled to release a live album. And so it came to pass that Dayglo Fishermen's first ever live album, 'In the Limelight', was released in the summer of that same year. The album captured the atmosphere and energy of the concert perfectly, and was well received. For many it was the first time they had ever heard the band perform live. The front CD cover image focuses on the audiences point of view, with the band seen in the distance rather than close up, directly appealing to those that were there on the night. The red colour scheme is a further reminder of the energy of that event. The album's success was certainly the reason why the band did not hesitate to release another live album when the next opportunity arose. 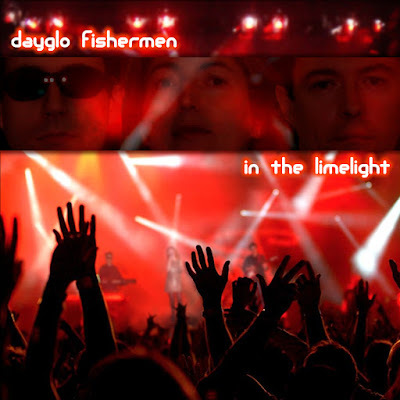 In 2010, two years after their first Limelight Theatre concert, Dayglo Fishermen released a new studio album, 'Moons That Cast Their Light'. As usual it was a steady evolution of the band's quirky and often retro sound, with some of the tracks perfectly suited for live performance. It was therefore no surprise to anyone when the next concert date was announced. In March the following year Dayglo Fishermen performed at the Limelight Theatre once again. This time the audience was even larger, and the band responded to that with a truly engaging performance, one that managed to exceed even the heightened expectations of those that had been present at the previous concert. It proved to be an enthralling evening. The live album of the event, '260311', was released only three months later. Such a release so soon after a concert is quite unusual, but it was most welcome. Everything about the album was kept simple. The name is just the date of the performance, and the cover image is a straight shot of the band performing. It's a raw and very honest portrayal of the event, a perfect reflection of the atmosphere and nature of that night. 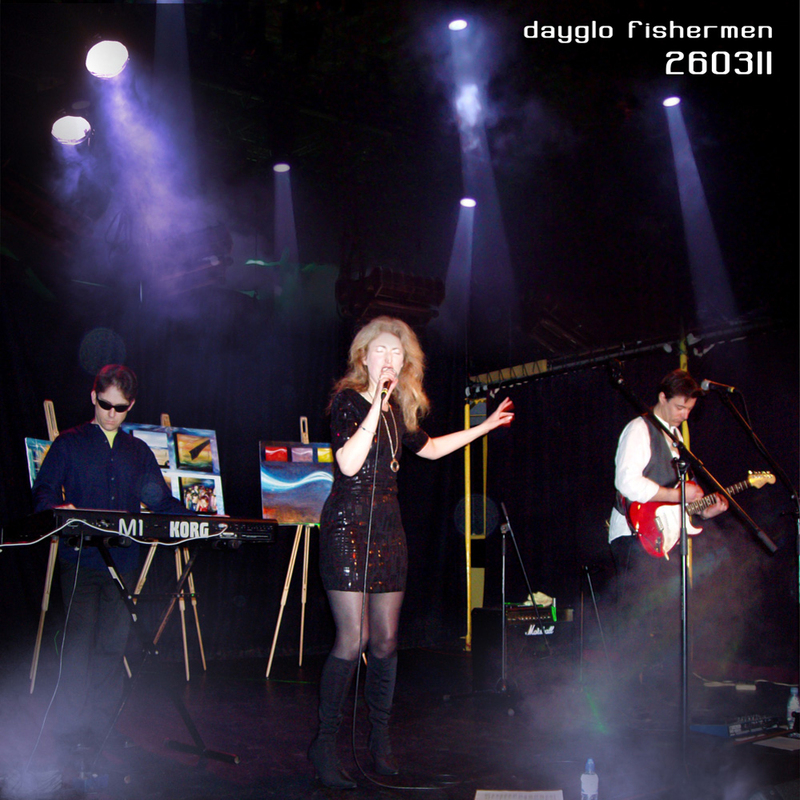 In 2015, after five years of development, Dayglo Fishermen released their latest studio album. Titled 'Midnight Souls Still Remain', the album features a powerful set of pulsing synthesiser and guitar songs layered with some of the most haunting and evocative vocals every recorded by the band. The band were now ready to perform live once again. In September 2016, almost a year after the studio album's release, Dayglo Fishermen performed at the Limelight Theatre for the third time. The concert featured five tracks from the new album, and included some of the regular 'Painting Aliens' classics that had featured at all the Limelight concerts. The live DVD album was released seven months later in April 2017. It's name, 'Midnight Souls Come (a)Live' is a deliberate link to the 2015 studio album that featured heavily during the performance. Unlike the previous live albums the front cover image does not feature the band in performance. It's an image of a face, serious and contemplating; a soul forming into a physical being from the surrounding elements. It is a truly thought-provoking piece of art. 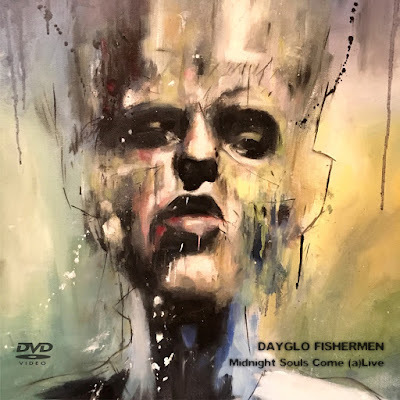 If you have been unable to experience Dayglo Fishermen live then any one of these albums from the Limelight Theatre trilogy is the next best thing to being there. Listen to them now on the music page of the band's official website.